Hong Kong Youth Arts Foundation provides high quality, non-competitive, free-of-charge arts experiences for all young people aged 5 to 25. 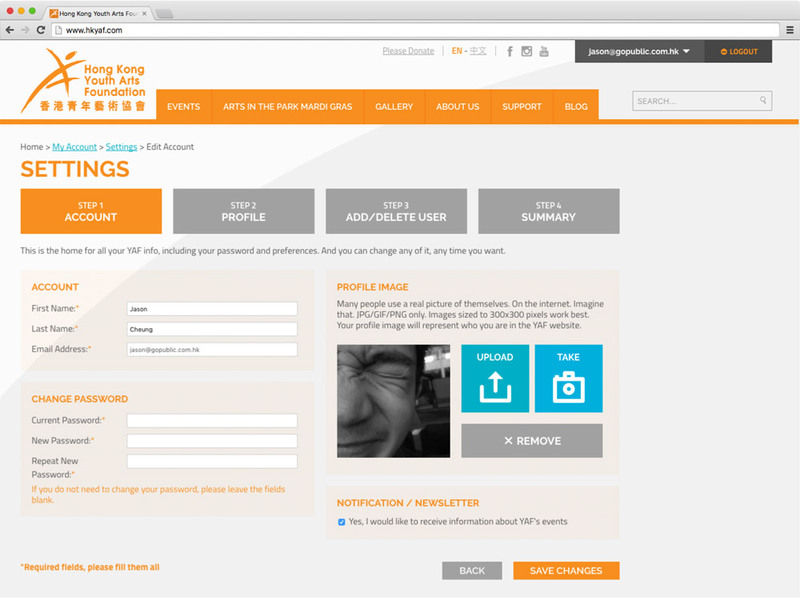 It was a cause for celebration over here when one of Hong Kong’s leading art organizations invited us to transform their existing website into a digital hub for visual and performance art. 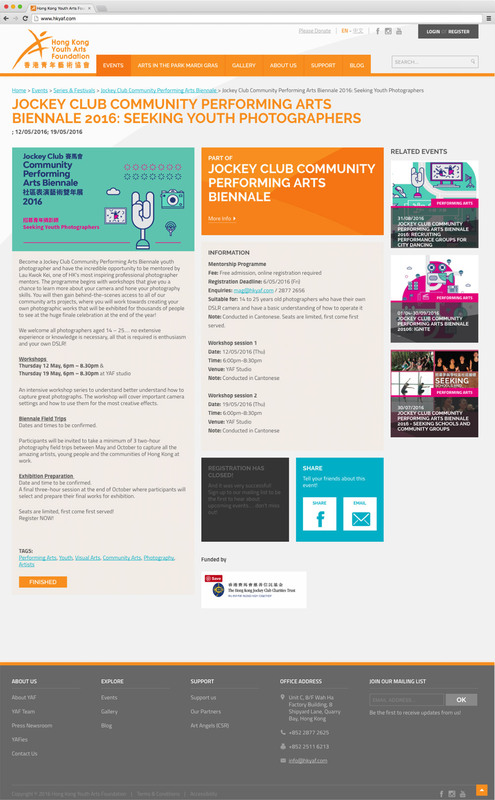 Showcasing over 600 individual upcoming and archived events, performances, workshops, and festivals, the new YAF website is one of the largest non-profit art platforms in Hong Kong, with an audience ranging from students and parents, to teachers, school administrators, and event sponsors.